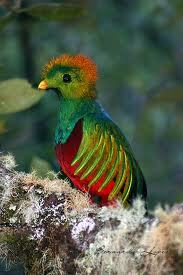 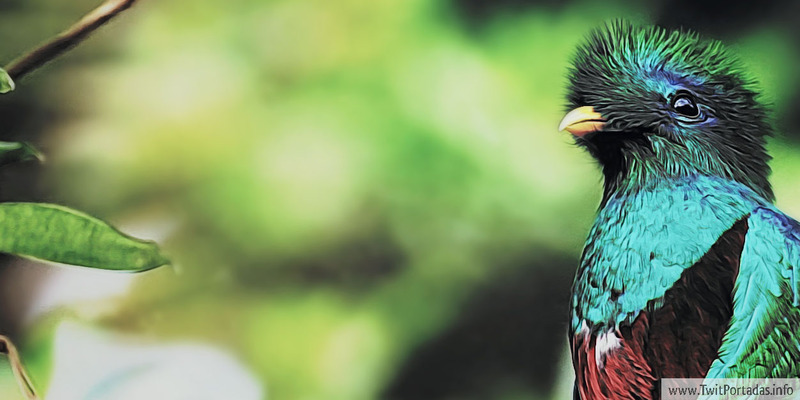 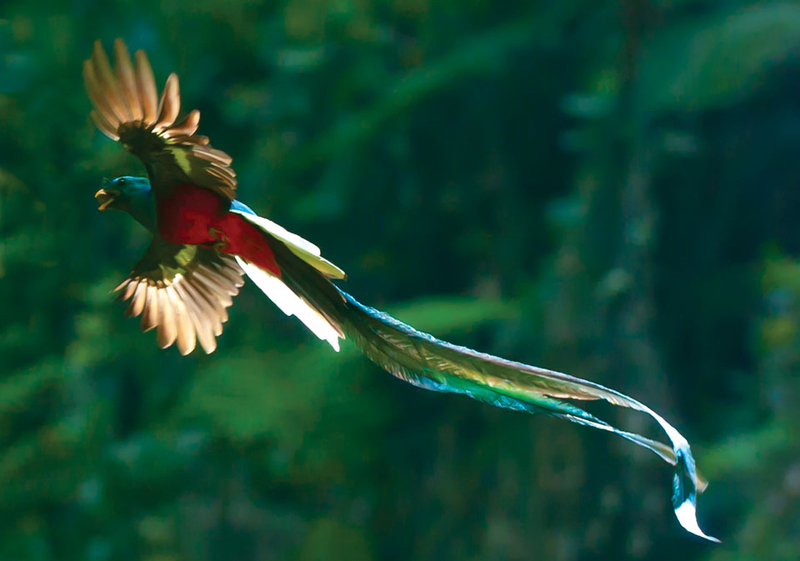 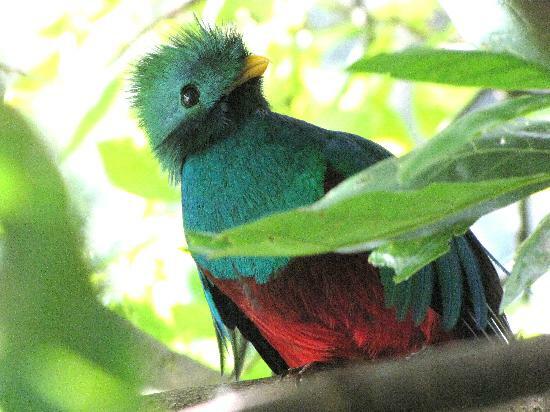 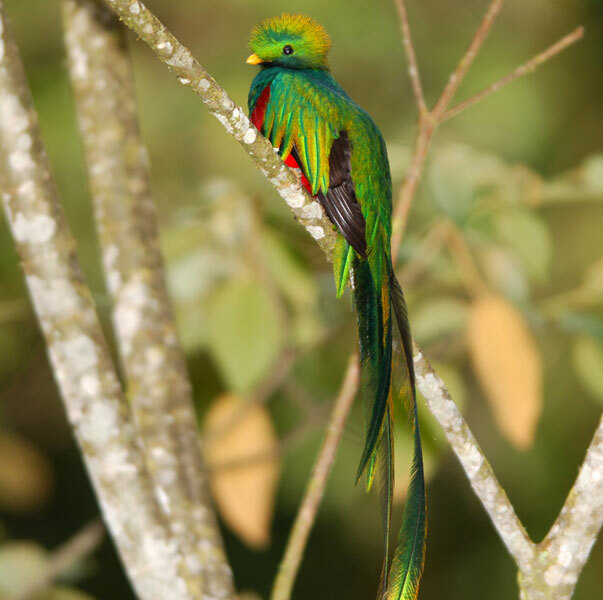 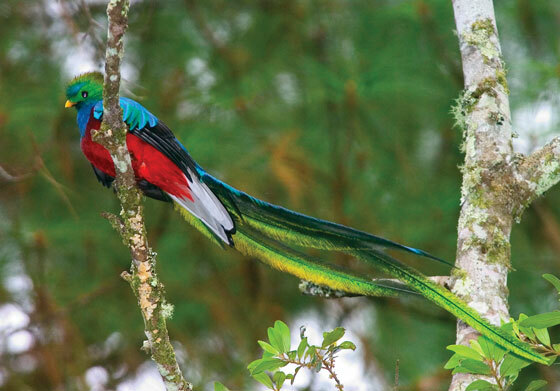 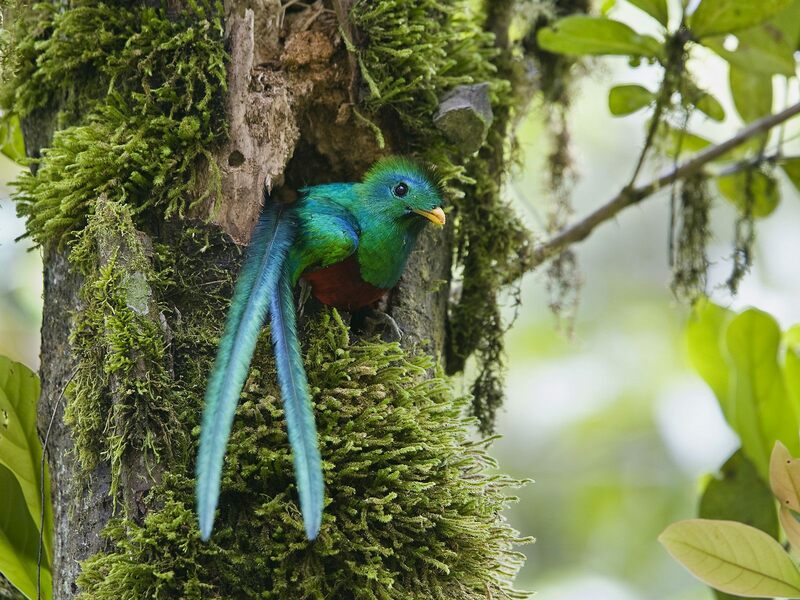 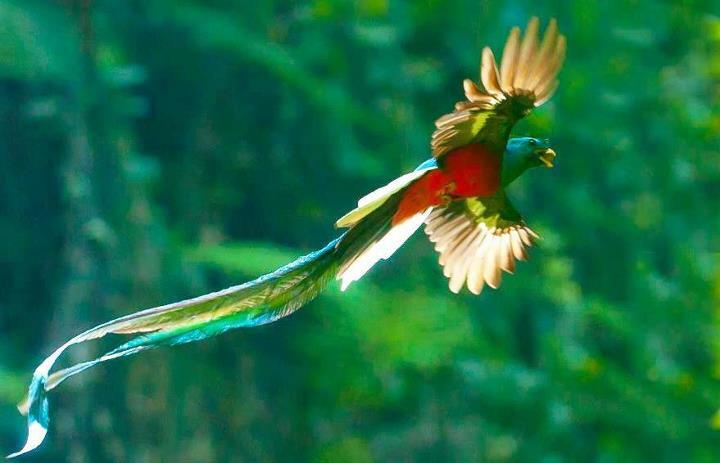 Quetzals are strikingly colored birds in the trogon family. 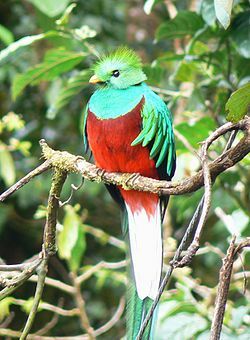 They are found in forests and woodlands, especially in humid highlands, with the five species from the genus Pharomachrus being exclusively Neotropical, while the single Euptilotis species is almost entirely restricted to western Mexico also in Baja Verapaz, Guatemala. 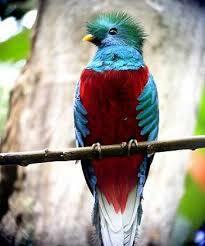 They are fairly large (all over 32 cm or 13 inches long), slightly bigger than other trogon species.